Much of the 20th Century has been characterized by the growth from an industrial society to an economic one. During the mid 20th century manufacturers became aware of a paradoxical problem, if one produces sustainable goods then consumers would have no need to buy new products. This revelation set in motion some of the largest dilemmas of the 20th century and one that the 21st is faced with in dire consequences. 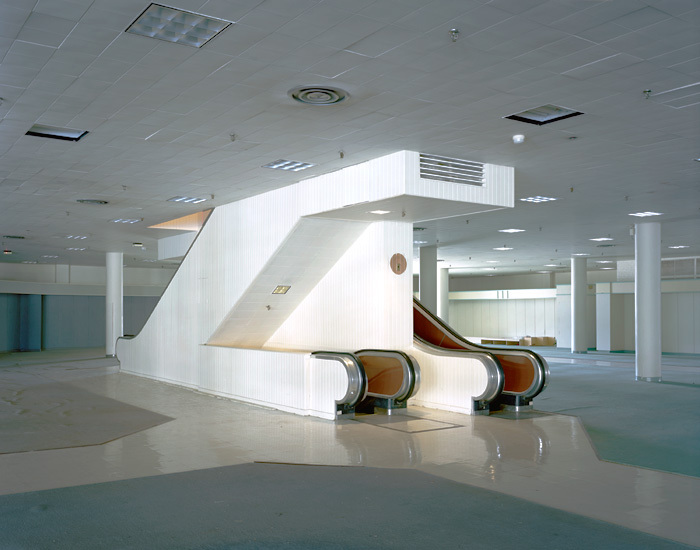 Dark Stores, Ghost Boxes and Dead Malls is an extension of my long-term work documenting American consumer culture since the turn of the century. ‘Dark stores’, ‘ghostboxes’ and ‘dead malls’ are retail industry terms for emptied, vacant and dying retail stores, big-boxes and malls. With the recent financial decline, the latent economic model of the 20th century is revealing much of its effects on communities, the environment and the American landscape. 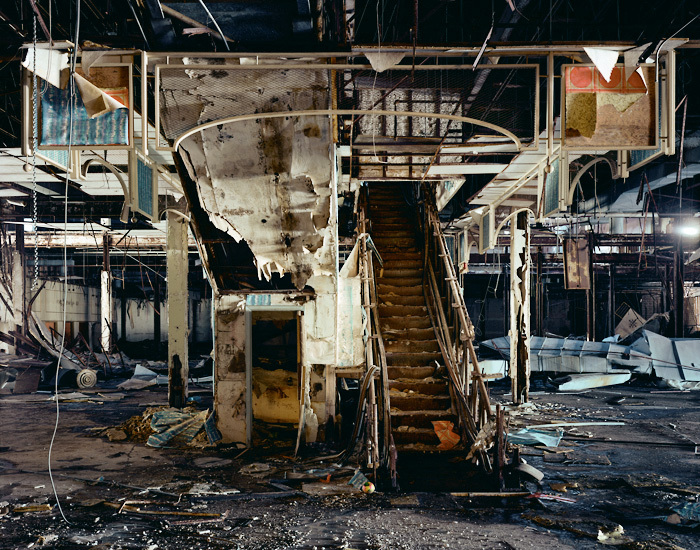 By photographing the hulking remnants of a consumer world now since abandoned and stripped of its signification of brands, promised illusions and advertisements; the futility of a retail based economy lays bare in the empty malls and retail stores that represent reminders of consumption without foresight. 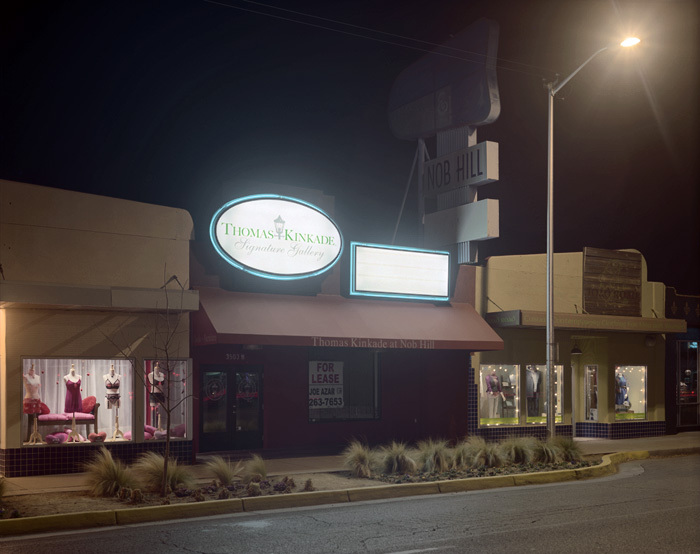 Through intensive online research I have been documenting this transformation of business to empty shell, with attention to weather conditions, and dramatic lighting that is often painted over extremely long exposures. The remaining ‘Labelscars’ of signs on the buildings point to a quickly dimming reference therefore my trips must be precisely timed before these remnants of logo are painted over and erased of any trace of brand identity. At its roots photography allows us to scrutinize and it is this analytical nature of my work that has garnered much of its reception through a desire to gain an understanding of our contemporary moment. My subject is one that speaks to a wide audience. I utilize the tradition of photography as propaganda to inform and influence the dialogue of our culture. 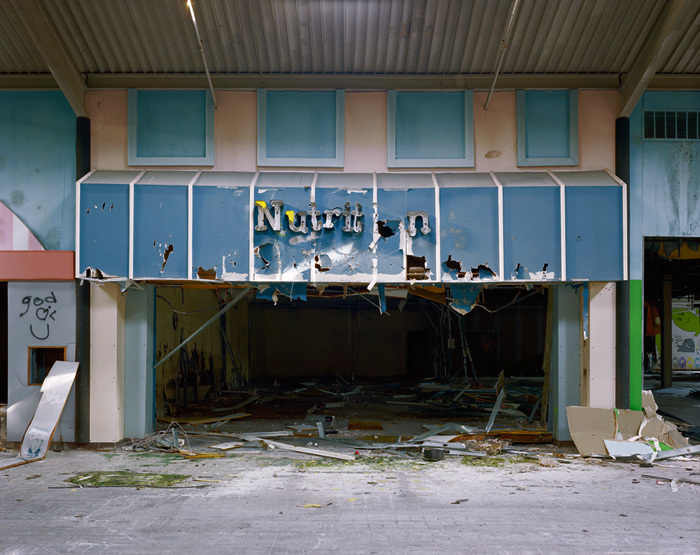 Much of the work of Dark Stores, Ghost Boxes and Dead Malls, is crafted with this intent, as an aesthetic response to a familiar situation done grandly and with a photographic language that is both literal and conceptual. Dark Stores, Ghost Boxes and Dead Malls, begun in May 2008 and still ongoing, is part of my larger project Copia, which, since 2001, explores not only the everyday activities of shopping, but the economic, cultural, social, and political implications of commercialism and the roles we play in self-destruction, over-consumption, and as targets of marketing and advertising. My intention is to realize Copia as one publication comprised of the chapters of Retail (2001-2006), Thrift (2005-2008) and Dark Stores (2008-2010). 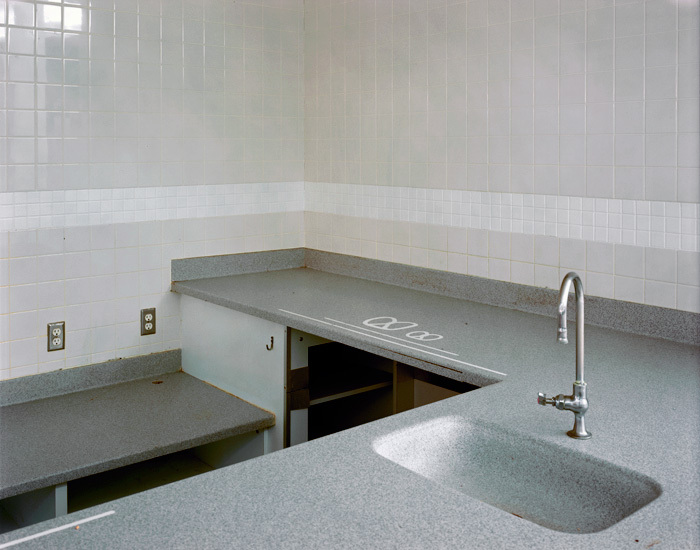 In 2009 I received a John Simon Guggenheim Fellowship to finalize the remainder of the photographing. In 2010 I will embark on the task of editing almost ten years of photographs into a cohesive whole. Brian Ulrich is a Chicago, IL based artist.